"Brorsoft's Mac DVD Ripper is going to make life easier. I can finally get all of the tutorial videos I archived to play on a single viewer. I used them to refresh my memory when I have to do some common functions while building websites that I forget the steps for. It was a pain having to open different viewers all the time." Brorsoft DVD Ripper for Mac is designed for Mac users to rip DVDs to almost all other popular video and audio formats, including MP4, 3GP, AVI, MPG, M4V, MPEG-4, FLV, MOV, 3G2, VOB, MP3, FLAC, MKA, OGG, WAV, AC3, M4A, etc. by bypassing DVD copy protection. Moreover, this Mac DVD converter makes it possible to play DVD contents on almost any multimedia devices or directly edit DVD clips in iMovie, Final Cut Pro, FCE, Avid, Aobe Premiere, etc. High speed and excellent conversion quality let you enjoy your favorite DVD movies wherever and whenever you want. 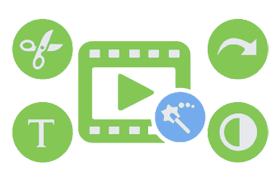 Quickly convert DVD movies to all popular video/audio formats like MOV, MP4, AVI, WMV, MKV, FLV, 3GP, VOB, ASF, SWF, DV, MP3, M4A, WAV, M4R, AAC, OGG, AC3 and more. 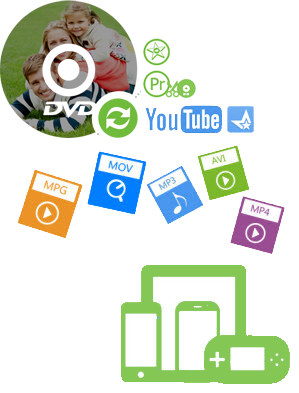 With the provided web video presets, you can directly convert DVD for share on YouTube and more. Brorsoft DVD Ripper for Mac supports most of the popular DVD movies and is upgraded regularly. It is the best DVD ripper on Mac El Capitan to rip and convert any DVDs. It will helps you to remove all the restrictions of DVD, like CSS, Region, RCE, Sony ARccOS and PuppetLock. And thanks to the multi-core processor support, you can convert multiple files simultaneously with excellent output quality. Change video visual effects, adjust brightness, saturation, etc. 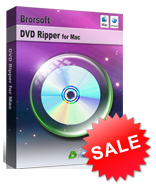 Brorsoft DVD Ripper for Mac can be also used an exciting DVD copy software on Mac. It will help you easily copy any commercial DVD movies without any troubles. With it, you can back up your DVD in Full Disc, copy Main Movie only, or choose your wanted chapter to back up. It offers enough freedom for all DVD movie lovers to back up your DVD movies. Free Technical Support and lifetime free Upgrade aims to give a better DVD ripping experience. You can select the right subtitle to your files. Set to auto shut down or put computer to sleep or do nothing. Adjust output video and audio parameters as per needs. Get your favorite scene with a click. Runs well on Mac OS X 10.9 Mavericks. > 250+ formats, ultra-fast speed, zero quality loss, all-in-one Mac Video, DVD and Blu-ray Solution!